Lately, Glenn Beck's obsession with President Obama has shifted toward attacking anti-tax hawk, Grover Norquist for his alleged ties to the Muslim Brotherhood. Meanwhile, President Obama is pulling out all the stops to foist global corporate governance on the American people with "trade" agreements called the Trans-Pacific Partnership and the Trans-Atlantic Trade and Investment Pact. When there's a real opportunity for some "honest questioning," Glenn Beck is busy attacking a fellow conservative. Opposition to the TPP and TTIP is not strictly a left-wing effort. On the right, Lou Dobbs, Ed Rollins, Phyllis Schlafley's Eagle Forum, Americans for Limited Government, The Tea Party dot net, the Center for Security Policy, the American Family Association, Alan Keyes, Beck ally Alan West, the CATO Institute, the Reason Foundation and others stand in opposition to these raw deals. So why hasn't Beck focused in on this desired power-grab by President Obama, Traitor in Chief? There are two possibilities: 1) Beck has no idea that the TPP or the TTIP are being negotiated or that Obama wants to "fast-track" them into law. 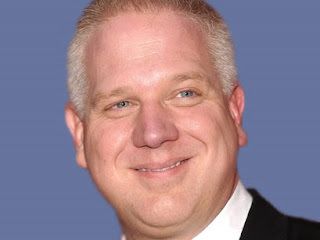 There is a reason why Beck's biography is subtitled Glenn Beck and the Triumph of Ignorance. (A couple of years ago, Beck had no idea who Grover Norquist was!) 2) The Koch brothers want these trade and regulation treaties to become the law of the land, and they have instructed their puppet propagandist to go along with them. Beck is, after all, a corporate shill. Anyone with time could make it a point to call into Beck's radio program and ask him where he stands on TTIP. Chances are pretty good, he won't know what you're talking about. If he supports these corporate coup des lois (take-over of laws), then he'll confirm that he's the unprincipled, corporate tool we've been arguing he is for almost five years now.